Don’t be paranoid, but we know you are reading this blog post like a squirrel after a nut. You arrived here as a business owner searching for the secret formula for making more sales to consumers. Maybe you have an offline store and you aren’t getting enough walk-in traffic, and even when you do, they leave without making a purchase. Or maybe you have only been selling B2B (business to business) online up until now and you know it is time to step up your game and go after B2C (business to consumer) online sales. When you saw that the title of this post contained the word psychology, you thought, “Ah ha! That’s the answer! I must dig into the mind of consumers.” And you are partially right. However, what we have to say is about more than just discovering how potential B2C buyers think. It is about rearranging your whole attitude toward B2C sales. According to a book by Bryan Kramer, when it comes down to it, there is no real B2B or B2C—it’s all human to human. Kramer’s book is based on the premise that B2B and B2C can no longer be so easily defined. He argues that, to survive, marketers must appeal to humans’ emotional needs on top of the original need or desire for a product. Which is something we couldn’t agree with more. Your job is to tap into one or more of these basic human needs. In doing so, you can help form a connection between consumers and what you’re offering. This H2H marketing is far more than connecting emotionally to another human being; it’s about how a consumer feels as if you are talking to them and them alone. Everybody likes to feel special, and we think this should come across in your marketing activities as well as how your customers experience your brand. But you don’t just need to make them feel special—your brand must also be interesting. On Facebook, 52% of consumers stop following a business’ page because the content is boring and repetitive. With open rates for email newsletters on average at 20%, consumers are screaming for some excitement. You must provide stimulation and, dare we say entertainment, as well as connect with them emotionally. 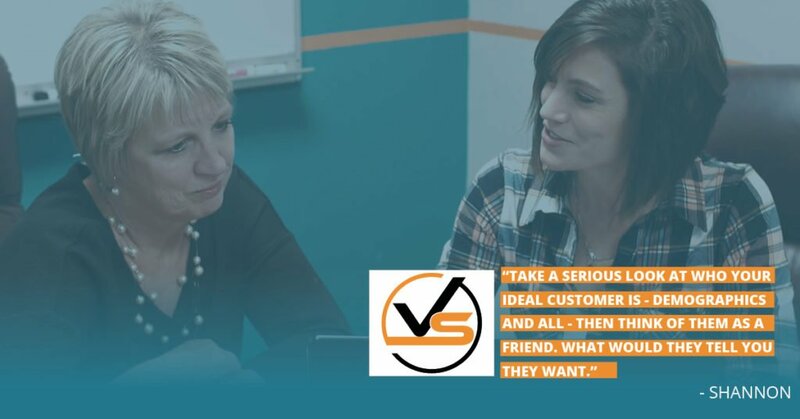 Once you have gained their trust and connected on an emotional level, satisfying one or more of their basic human needs, along with keeping your connection interesting, you usually have a customer for life. What drives them to make a purchase? What part of their psychological makeup helps make a buying decision? There are 3 key emotions that drive all purchase decisions. Ego – Consumers make purchases to feel better about themselves. Businesses that tap into their consumers’ ego will appeal to each individual’s sense of self. They’ll applaud the consumer for making a smart purchase decision. Fear – Consumers make purchases to allay a fear—either real or perceived. By tapping into fear, businesses will appeal to a consumer’s doubts, demonstrating how their offerings will keep the consumer safe or eliminate the fear completely. Greed – Finally, consumers make purchases in order to advance their own self interests. Businesses tapping into greed will demonstrate how their offerings offer more than other products purchased by those in the consumer’s inner circle. Of course, there is no way you can appeal to all 3 of the above emotions at the same time. What you DO have to do is have an intimate understanding of which emotion your product hones in on. What emotion does your product appeal to the most? How are your business and offerings different from your competitors? Which adds one other variable to the mix and that is the difference between offline B2C sales and online B2C sales: When you’re selling offline, you need to be very emotional in B2C selling, as buyers tend to buy based upon how products make them feel. This much we have made as clear as glass. However, when you’re selling online, you also have the added responsibility of tapping into the desires and pain points of your potential customer, as well as differentiate yourself from your competition. We have given you a lot of food for thought, but keep this in mind. If you have great salespeople, they will instinctively understand the information we have shared here on a visceral level. That is one of the characteristics of a good salesperson: the ability to tap into the psyche of buyers and to understand them on an emotional level. Remember, H2H is what you are striving for in B2C selling. A good salesperson, as they say, could sell igloos to Eskimos. That’s because they are good with people and understand human emotion. Now go out there, squirrel, and gather those nuts!